The lab is comprised of a decentrally-organized research staff, a board of advisors, and correspondents around the globe. Lukas Pauer is a licensed architect, urbanist, educator, and the Founding Director of the Vertical Geopolitics Lab. Currently engaged as Lecturer in Architecture at the University of Greenwich, Tutor in Landscape Architecture at the University of Edinburgh, and Co-Founding Associate Editor at Harvard University’s Very Vary Veri Journal, Lukas pursues a practice-led studio-based PhD AD at the Architectural Association with P. V. Aureli. He holds an MAUD from Harvard University, and an MSc Arch from ETH Zürich. Besides numerous international recognitions, Lukas has been selected as Global Shaper by the World Economic Forum — a leadership program committed to change-making impact within local communities. 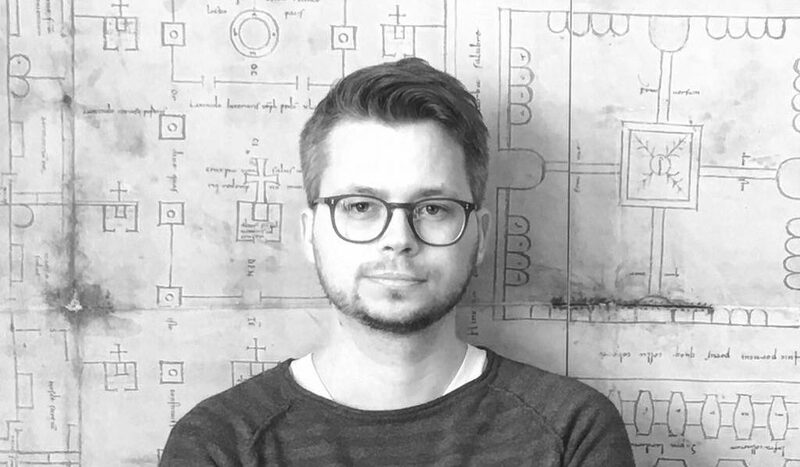 In the industry, Lukas is a member of the Swiss professional association of architects and has extensive technical experience in construction at globally renowned practices such as Herzog & de Meuron Architekten. In the academy, Lukas has devised, coordinated, conducted, and assessed courses incl. thesis supervision and examination at leading institutions such as Victoria University of Wellington. He has spoken publicly at institutions such as the World Bank, published in periodicals incl. the UCLA Planning Journal, and curated and convened public programs at venues incl. the Biennale Architettura di Venezia. Jack Isles is an architect and Research Fellow at the Vertical Geopolitics Lab. Jack is studying architecture at the Architectural Association and holds a BArch from RMIT University. Previously working for Urban-Think Tank at ETH Zürich, Jack has published in periodicals such as Kerb Journal. Interrogating the political and economic systems that define architecture at a local and territorial scale, his involvement with the Vertical Geopolitics Lab examines landscape architecture’s role in territorial expansion, amidst the contested waters of the South China Sea. William Jamieson is a geographer and Research Fellow at the Vertical Geopolitics Lab. William pursues a PhD Geo at the University of London and holds a BA ECW as well as a MSc US from the University of London. William has published in periodicals such as Ambit and Myths of the Near Future. His forthcoming publication with Goldsmiths Press, entitled Thirst for Sand, will employ critical creative writing techniques to posit land reclamation in Singapore as a form of writing on the scale of the nation-state. Integrating political geography and literary theory through a lens of critical creative writing, his involvement with the Vertical Geopolitics Lab examines how space is read and written by capital. Marijke Davey is an architect and Research Assistant at the Vertical Geopolitics Lab. Marijke holds an MArch from RMIT University and a BVAD from ACU. Passionate about questions of humanity, Marijke is a practicing architect and sessional teaching staff at Melbourne University. Interrogating the human nature of global politics and their underlying moral codes of conduct, her work within the Vertical Geopolitics Lab examines the impact of differing models of human governance on space and the people occupying it. Sophia Horomidis is a landscape architect and Research Assistant at the Vertical Geopolitics Lab. Sophia is studying landscape architecture at RMIT University and holds an AssocDeg in Environmental Horticulture from the University of Melbourne. Her most recent work was demonstrated as an editor at Kerb Journal, on the topic of digital landscapes. Interrogating the intersection of spatial practice and humanitarian work, her involvement with the Vertical Geopolitics Lab examines the role of socio-spatial boundaries in practices of temporary occupation. Ashley Pilipiszyn is an urban innovation entrepreneur and Research Assistant at the Vertical Geopolitics Lab. Ashley holds an MA in International Relations and Political Science from the Graduate Institute Geneva and a BA in Human Biology and Psychology from IU Bloomington. Ashley is pursuing joint doctoral studies at the University of Geneva and MIT whilst completing an EM in Innovative Governance of Large Urban Systems at EPFL. Besides numerous international recognition, she was selected as Global Shaper by the World Economic Forum and Spark Clean Energy Fellow in 2015, as MIT Climate CoLab Catalyst and Hive Global Leaders Program graduate in 2016. Integrating systems thinking and policy analysis, her work within the Vertical Geopolitics Lab examines critical infrastructure in the built environment through the lens of moral hazard. Michael Weiser is an economist and Research Assistant at the Vertical Geopolitics Lab. Michael holds a BSc in Business Administration from the University of Liechtenstein. Previously supported by the Austrian Research and Support Center for the Gifted and Talented (ÖZBF), Michael received a Liechtenstein Banking Award in 2014. His work at Lopag Trust has led to the establishment an experimental platform seeking to facilitate radical innovation through coopetition and design thinking. Interrogating behavioral economics, geoeconomics, and game theory from an analytical perspective, his involvement with the Vertical Geopolitics Lab examines how economic security is becoming a vital component to an advanced nation state’s ability to project power in the 21st century.